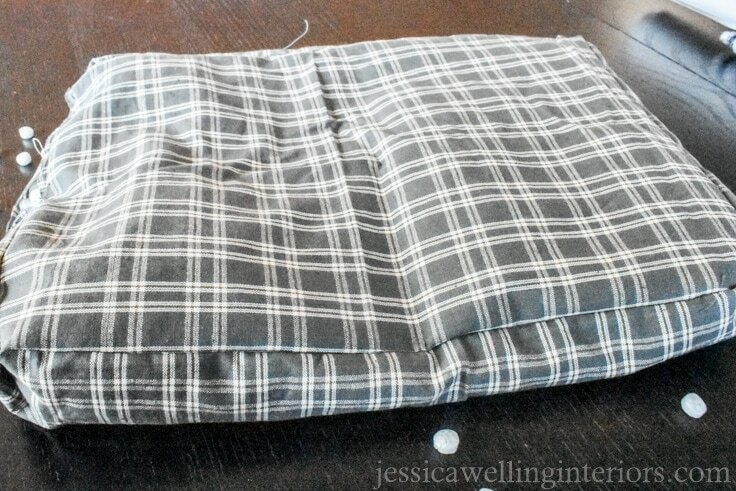 Make these DIY cushioned lap trays with bean bag bottoms that conform to your lap! 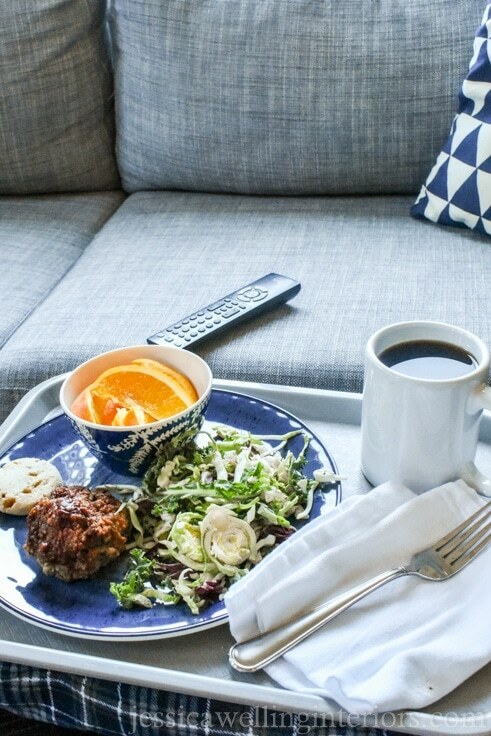 Use them as TV trays, for breakfast in bed, as a DIY lap desk, and more! 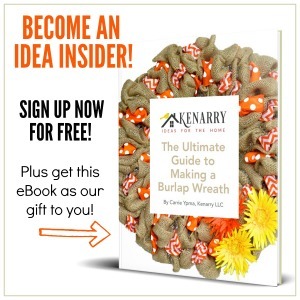 Hello Kenarry Readers! This is Jess from Jessica Welling Interiors. Who’s ready for Spring? Me! Me! Me!!! Yesterday I got up and saw the sun, so I put on crop pants and flats without socks. By 10am I was shivering and my toes were numb! But I’m not giving up hope yet. We actually still have some piles of snow on the ground, so I should know better. 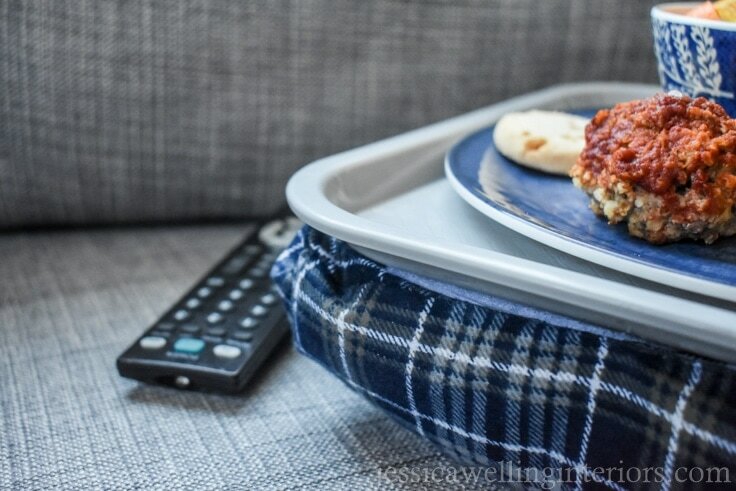 Since it’s too soon to get outside, I’m going to show you an indoor project today – how to make a DIY lap desk or TV tray! My parents got these awesome handmade cushioned lap trays as a wedding gift almost 40 years ago. I think you need to see a picture of these beauties to get the full effect! It’s clear they’ve seen MUCH better days! But we used them all the time growing up for movie nights and breakfasts in bed. The great thing about them is the bottom is like a bean bag, so they mold to your lap. This helps stabilize the tray. My folks still use them to eat dinner most nights. So my dad asked for some more for their beach house for Christmas. 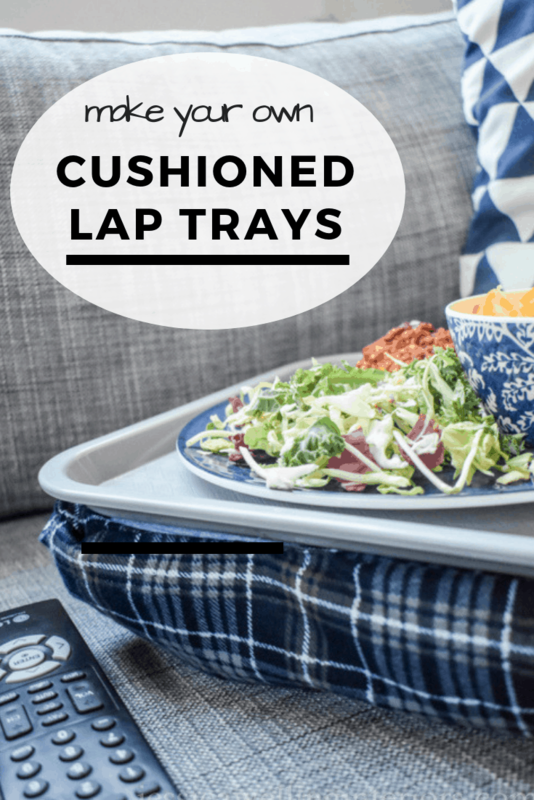 I thought it would be no big deal to find some cushioned lap trays online, but no such luck. The only ones I could find were flimsy plastic and had terrible reviews. The solution? Figure out how to make them myself, of course! 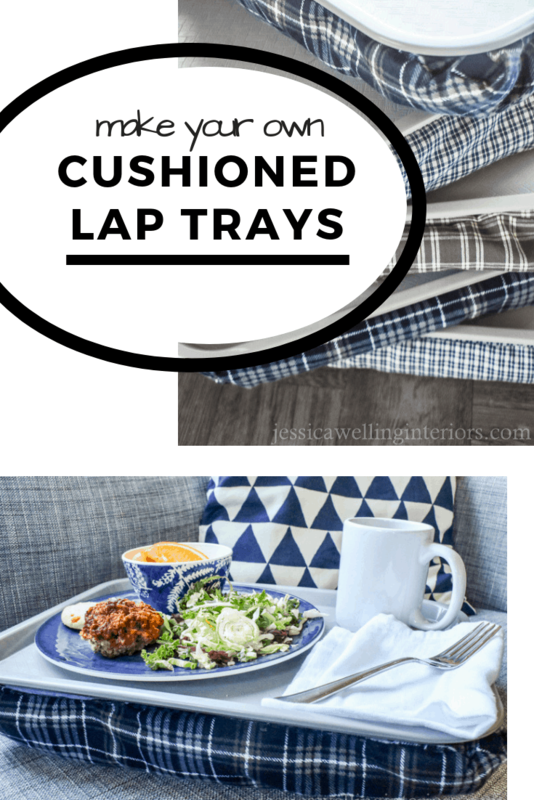 Have you ever used a cushioned lap tray? What about a beanbag lap desk? 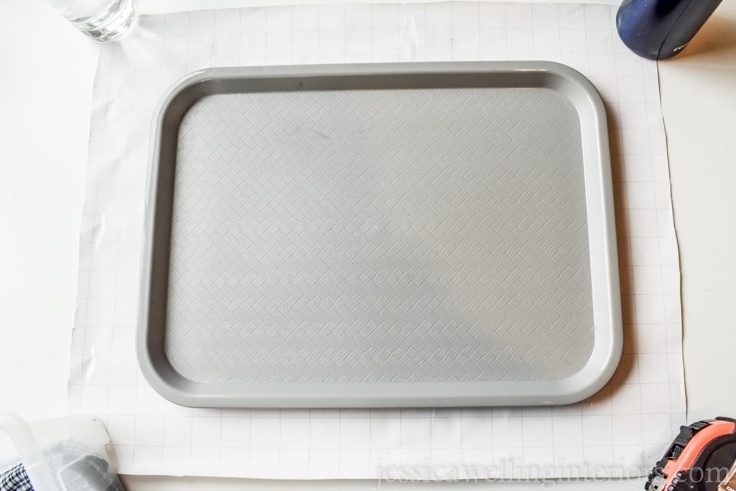 You can use these like I did as a kid – as a food tray. But they also work perfectly as a portable desk for your laptop or tablet. If you want to use them as a portable desk, measure the size of your laptop and compare it to the size of the tray before you make them. 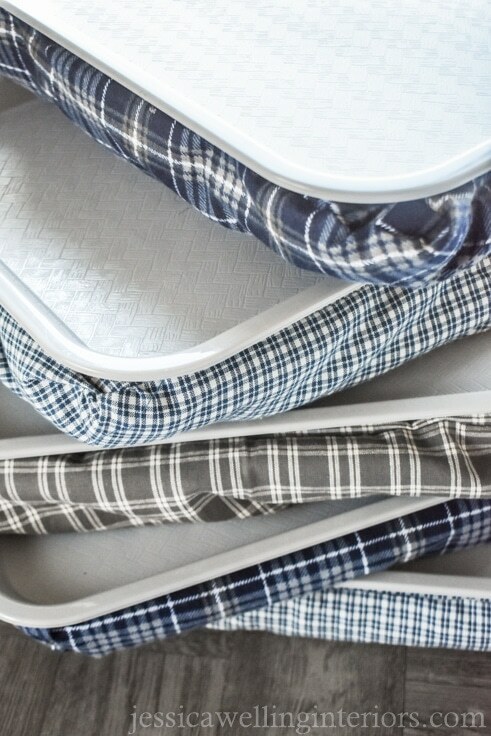 Another tip: If you are going to primarily use it as a desk (and not a food tray) flip the tray upside down. The lip can be sort of bothersome when you are trying to type. 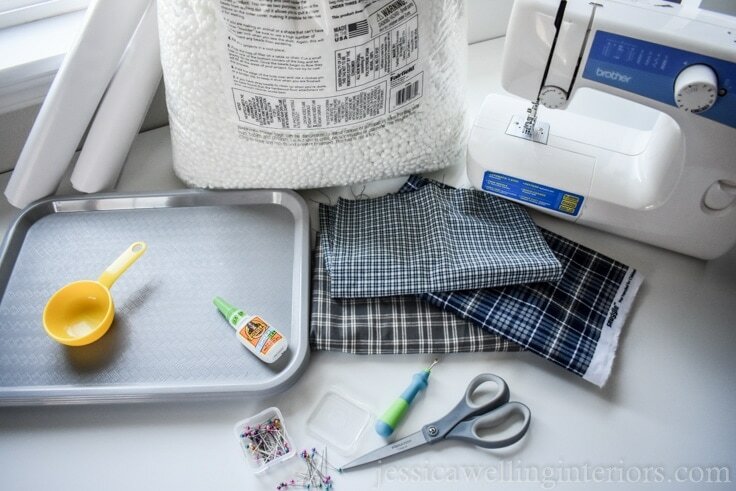 These are the supplies you’ll need to make your own DIY lap desk. You might have most of the supplies already. 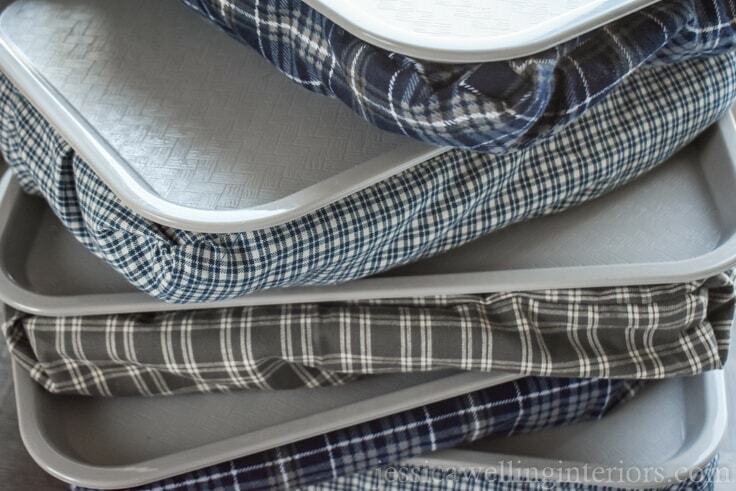 Here’s how to make your own padded lap desk. 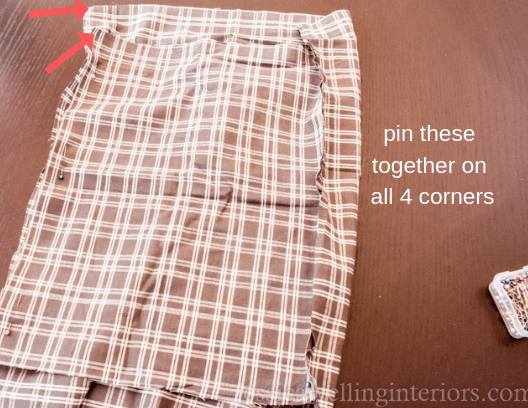 I included both step by step pictures and detailed instructions, to help it be as clear as possible. 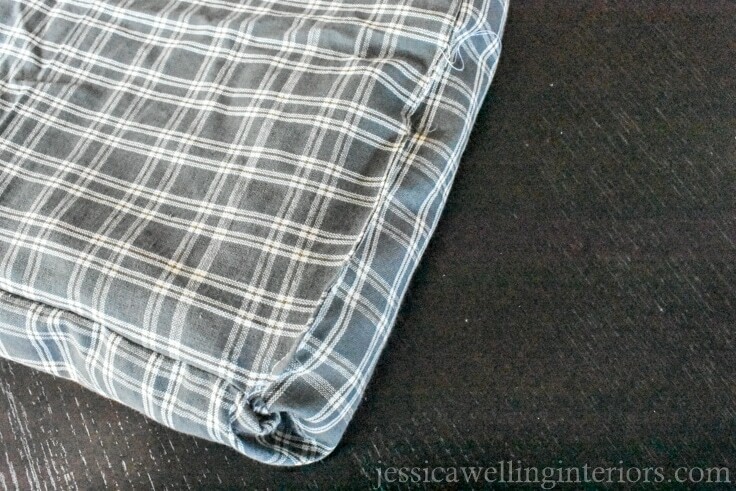 Just so you know, I’m going to switch back and forth between fabrics in the photos to give you the best pictures I can. 1. Cut out your patterns. Don’t be frightened by the word “pattern.” We’re just making two rectangles here! I used this white wrapping paper because it’s what I had on hand. 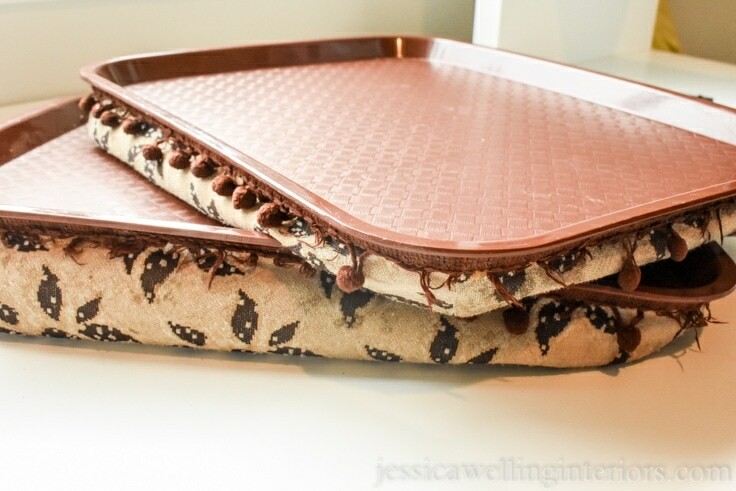 If you’re using a 12″ x 16″ tray like I did, you can make your patterns these two sizes: 21″x17″ and 12″x16“. 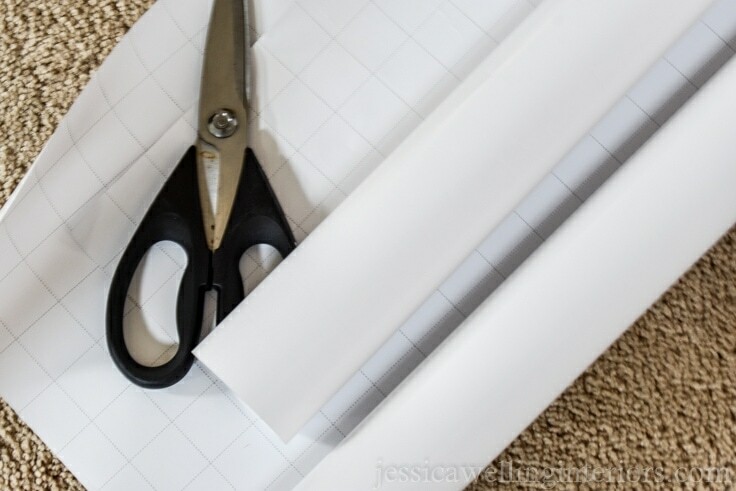 If you’re using a different size, lay the tray on the paper and outline the outside rim of the tray. 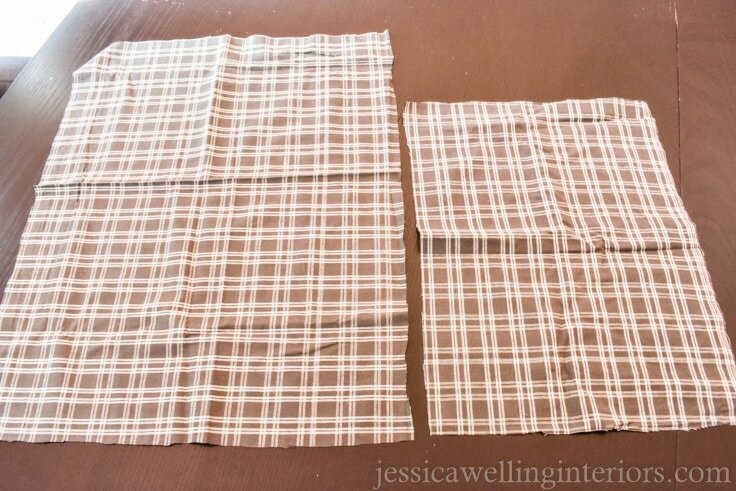 This will give you some seam allowance, since the fabric will just be glued to the bottom surface. 2. 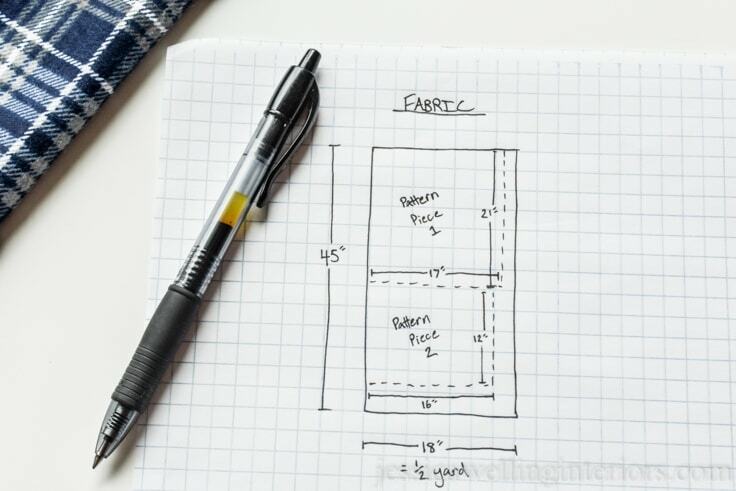 Pin your DIY lap desk patterns to the fabric and cut them out. 3. 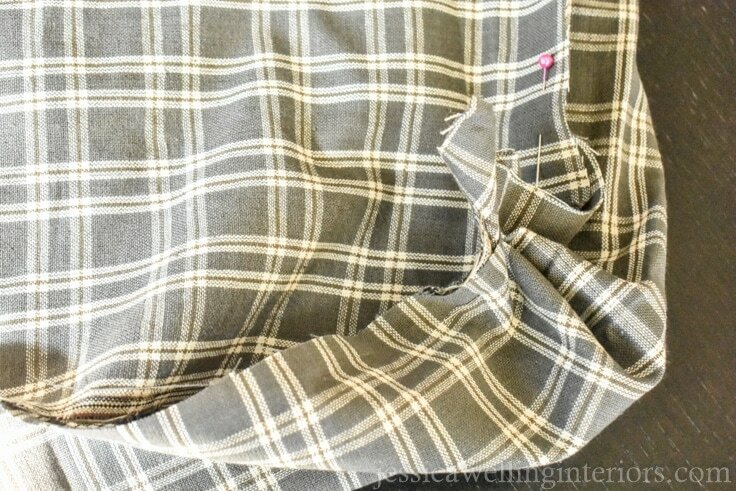 Line up the fabric and pin. 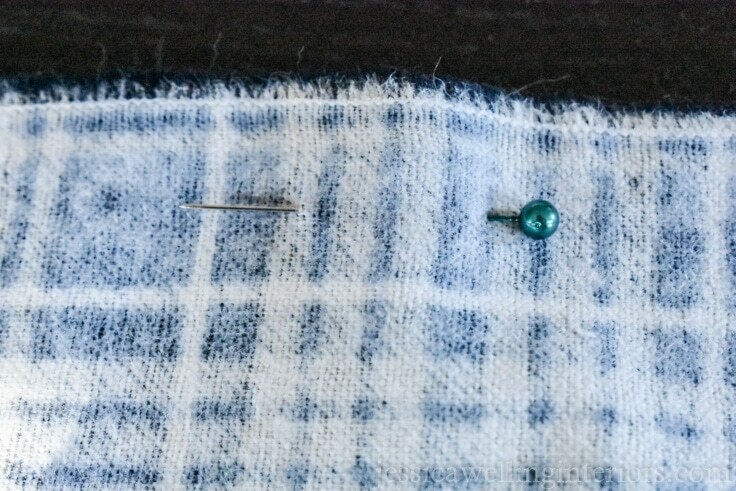 Pin along the bottom edges of the fabric. 4. Line up and pin opposite side. 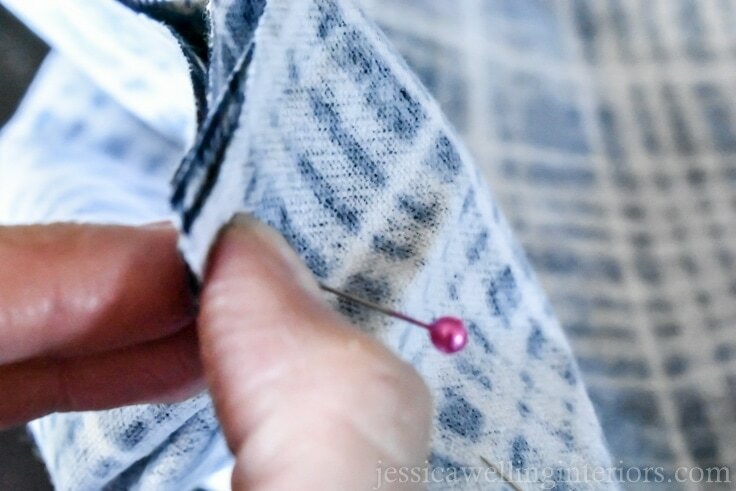 Now line up the top edges and pin them like this. If you look closely you can see the two pins at the top of the image below. Line up the center of one of the sides and pin it right in the middle, like this. Now bunch up the remaining fabric in each corner, and pin it all together, so that you have a smooth surface on the top (smaller) piece of fabric, and a bunched surface on the bottom (larger) piece. 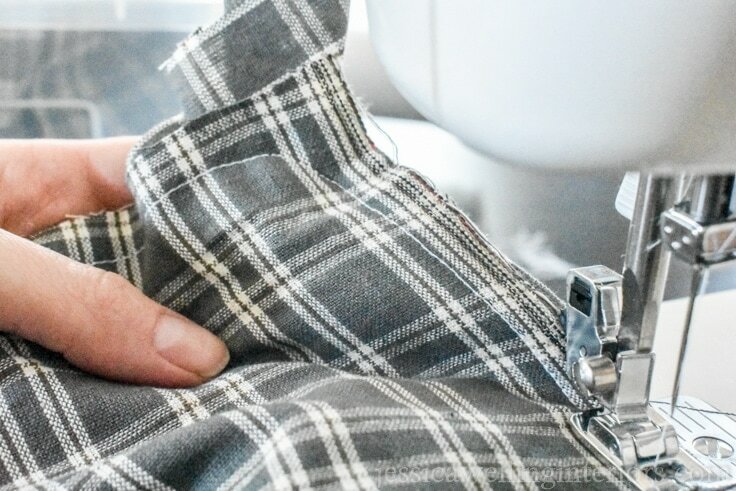 Starting at one end of the gap you’re going to leave open to stuff, sew a seam around the whole cushion, being sure to catch all the fabric on the corners. It’s fine to round the corners a bit to be sure you get all the fabric. 8. Turn it inside-out and fill. 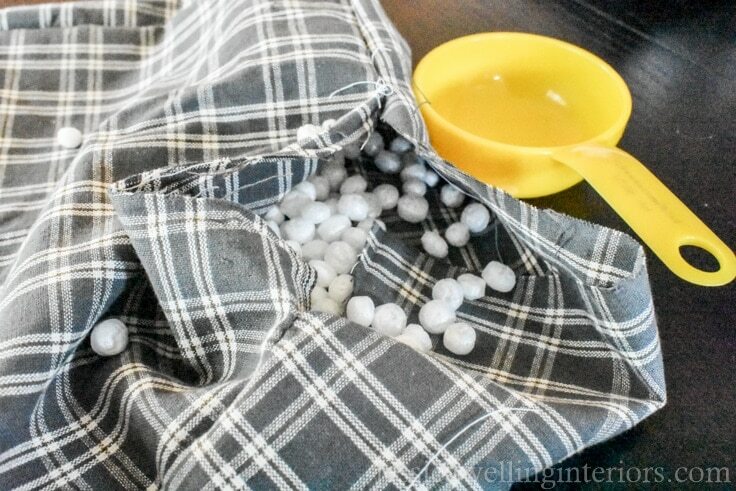 And fill the cushion of the DIY lap desk with foam beans. 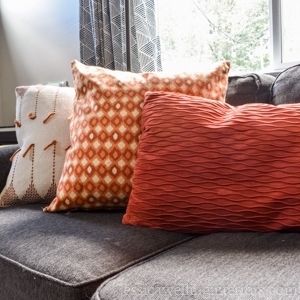 I used a measuring cup and put 18-20 cups in each cushion. You want it to have some substance, but still be loose so it can conform to someone’s lap and help hold the tv tray in place. I found it’s pretty much impossible to not get foam beans everywhere during this step- even when the kids aren’t involved. So best to just accept it! 9. 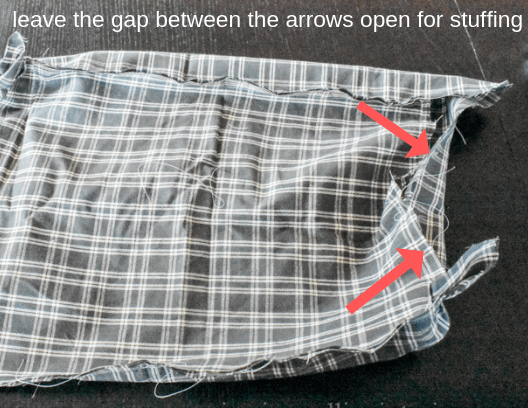 Sew up the opening. 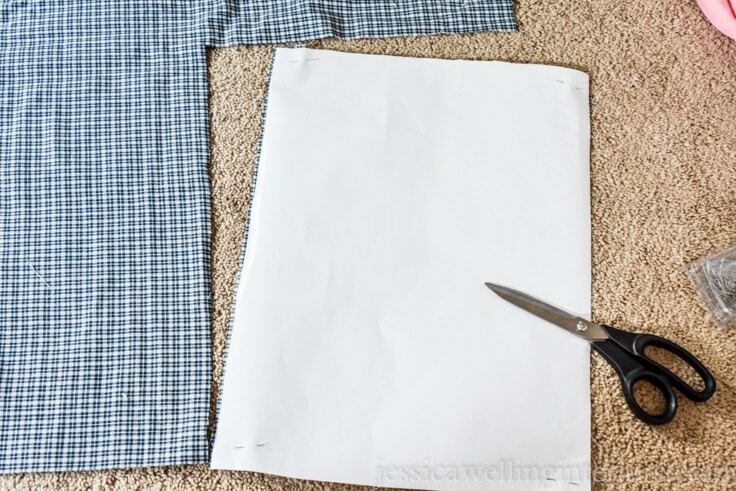 Fold the raw edges in and sew up the opening. 10. 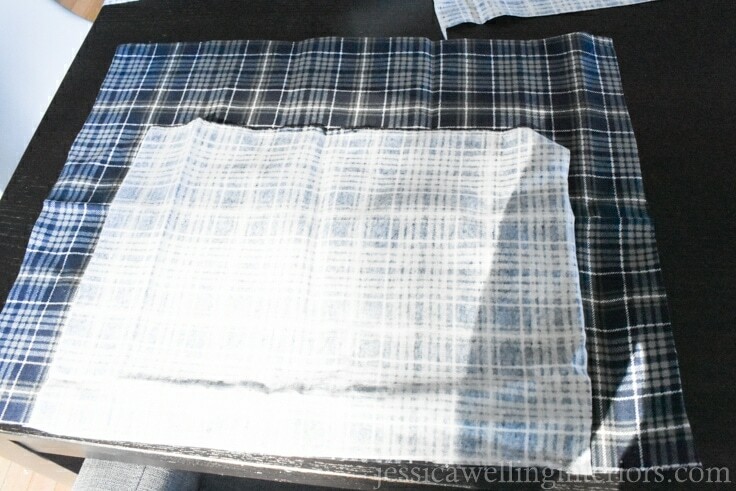 Glue the cushion and tray together. 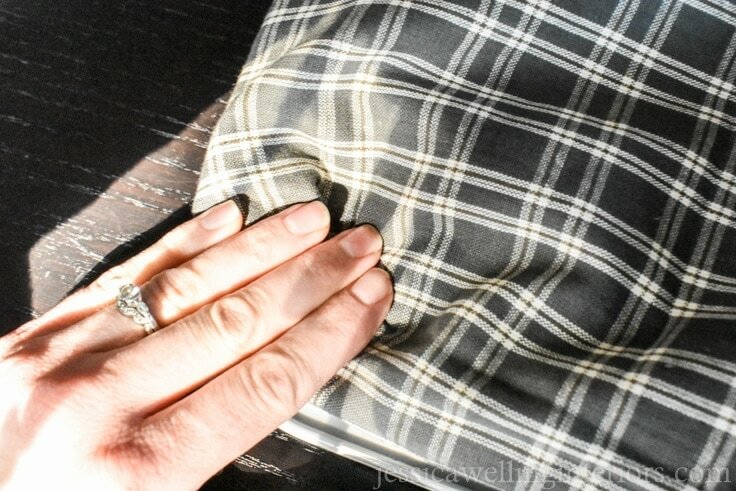 Now you’ve got your cushion for the DIY lap desk finished, and it’s time to glue on the tray. I tried several different methods to attach these. It’s harder than you would think! Super glue was the winner, but it’s still going to take some doing to get it to stick long-term. I was excited to find mini tubes of super glue at the dollar store, but they were a disappointment. Strong enough to glue my fingers together, but not strong enough to hold the tray and cushion together. 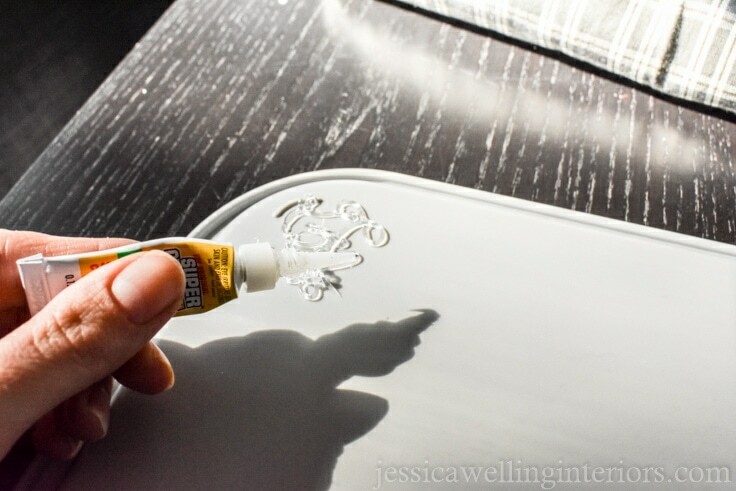 Start by putting a generous amount of glue on one corner of the upside-down tray. Don’t try to do the whole thing at once- it won’t work! 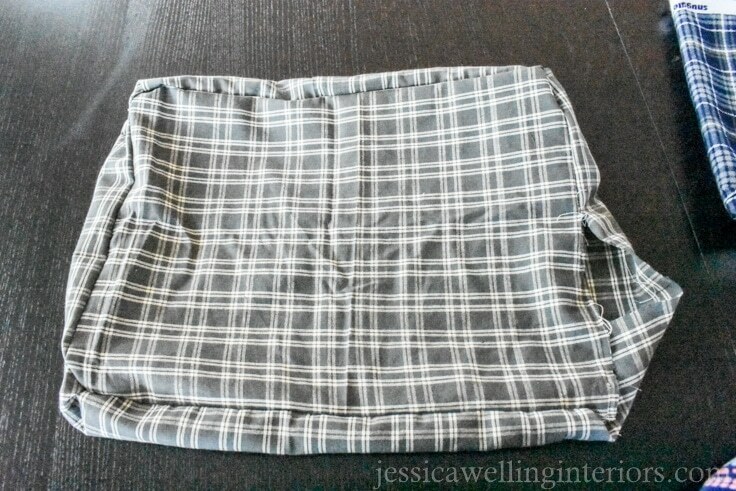 Now place the cushion, the side with the smaller piece of fabric facing the tray, on the tray. Hold the areas with glue together for 30 seconds or so, making sure there is good contact between them. Next, move on to the side, repeating this all the way around. Let it sit for a while to be sure it sticks. If it didn’t stick in an area, you may have to repeat. And that’s it! I’m going to have to make more DIY lap desks for my own family. What better tradition that birthday breakfast in bed? Now that you know how to make your own padded lap desk, try making one of these easy DIY projects. 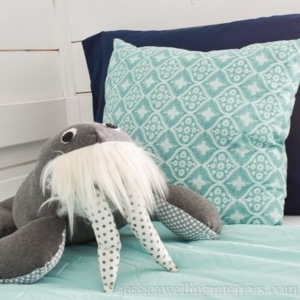 Beach House Bunk Room Reveal! 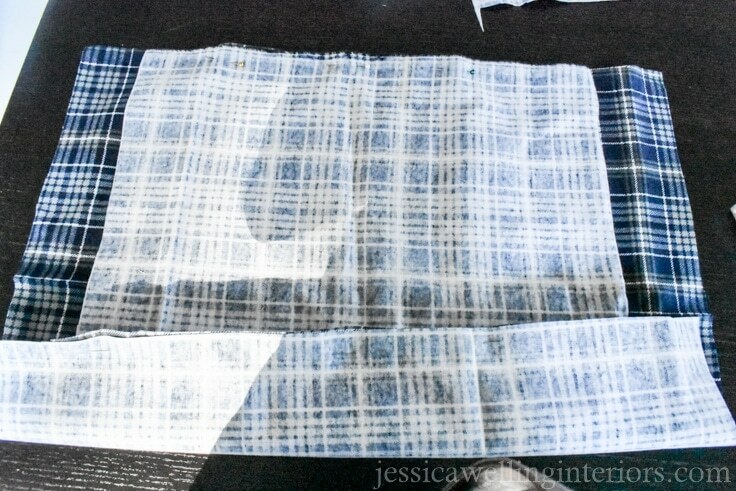 Jessica is an interior designer, blogger, and stay-at-home mama to two little girls. She loves to create family-friendly spaces and inspire women to make their homes beautiful and functional. 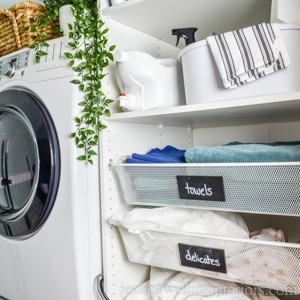 Her blog, Jessica Welling Interiors, is full of fun home decor, renovation, and organizing ideas to get your creative juices flowing! She also loves to cook, garden, host parties, and read. Jessica has been part of the Creative Team on Ideas for the Home by Kenarry™ since October 2018. Follow Jessica on Facebook, Pinterest and Instagram.